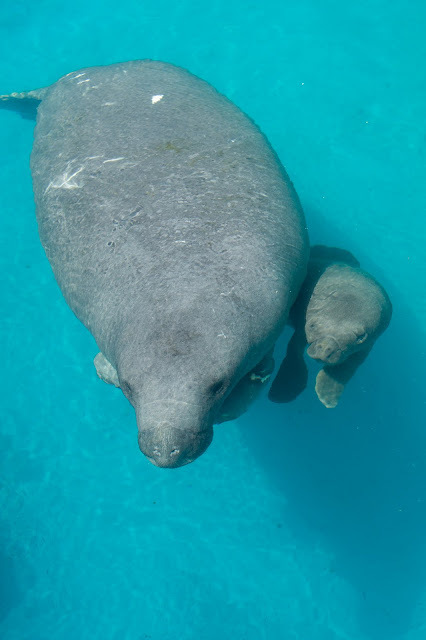 A pregnant Manatee rescued by SeaWorld’s Animal team in June has given birth to a healthy Manatee calf. When SeaWorld’s Animal Care Team rescued a severely injured manatee in June, they didn’t know they were really saving the lives of two animals. The recovering female gave birth to a healthy calf on July 18. 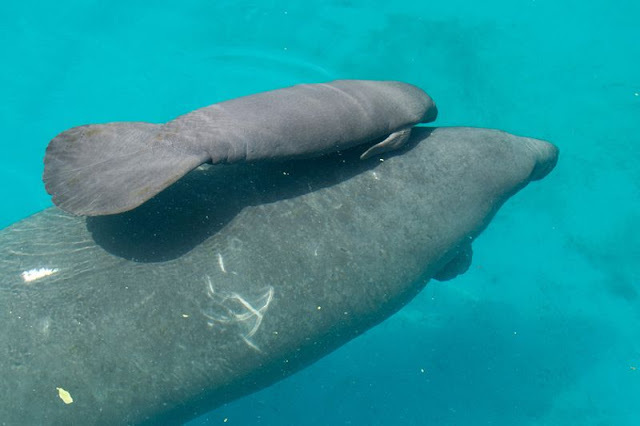 Veterinarians aren’t yet sure about the gender of the newborn, but officials at SeaWorld Orlando say the mother manatee is nursing and bonding with her calf in a back area pool away from the public. The Animal Care Team is keeping a 24-hour watch on the family. 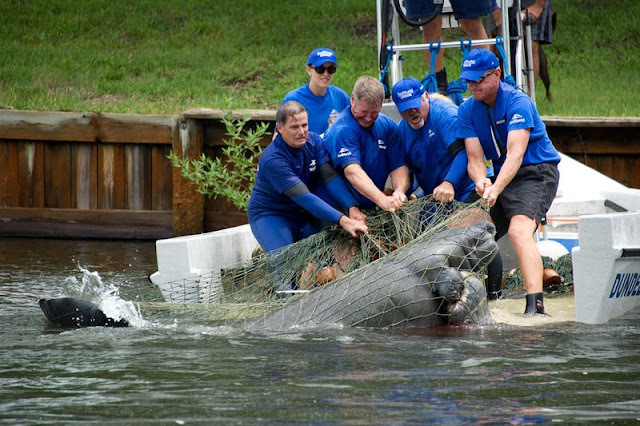 June 8 SeaWorld was called to Merritt Island, FL to help the 10-foot-long manatee who had severely injured her front right flipper on a crab pot line. The animal had also become tangled in a fishing line that wrapped around both of her front flippers. Veterinarians had to amputate the right flipper of the 1,380 pound female while they bandaged her other wounds. 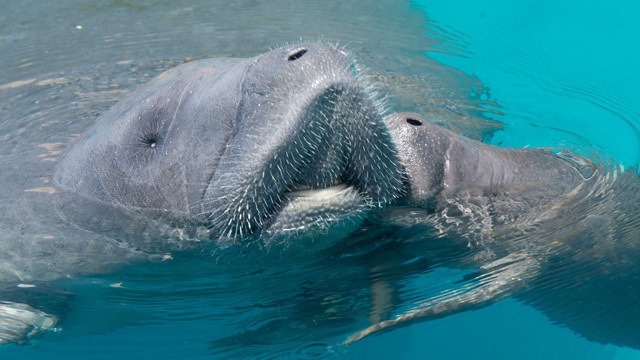 Soon after the team began to suspect the manatee was pregnant, based on her plump size. A sonogram confirmed the pregnancy and six weeks later the calf was born. SeaWorld's animal rescue team rescued the 10-foot manatee from Sykes Creek in Merritt Island, Fla. 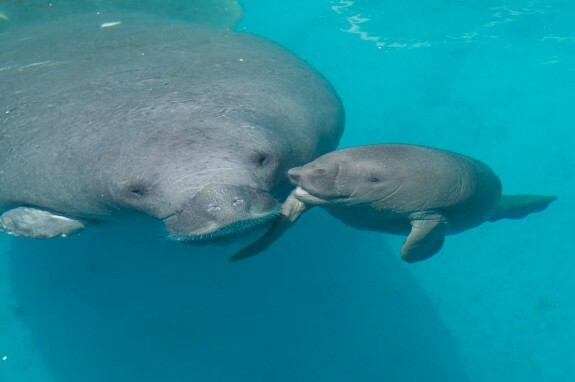 Responses to "Rescued Manatee Gives Birth To Healthy Calf (Video)"
Thank you to whoever discovered the injured manatee for calling Sea World resue. And thanks to Sea World for giving the life saving medical attention to mother and calf. We are all God's creations worth saving. You all are truly angels on earth!! !